We paid for our entrance at the gift shop and then entered the museum. The fossils and minerals are in one large room about 80 ft. by 80 ft. 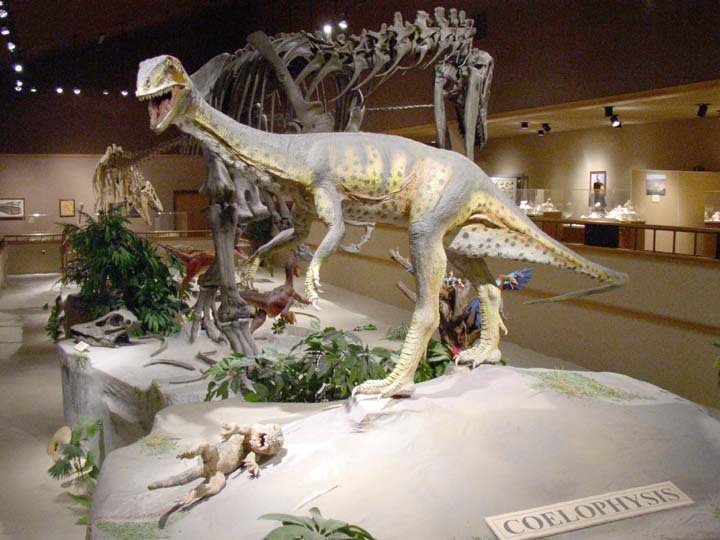 The Coelophysis replica greets visitors as they enter. Under it is a Thecodont about to be eaten. 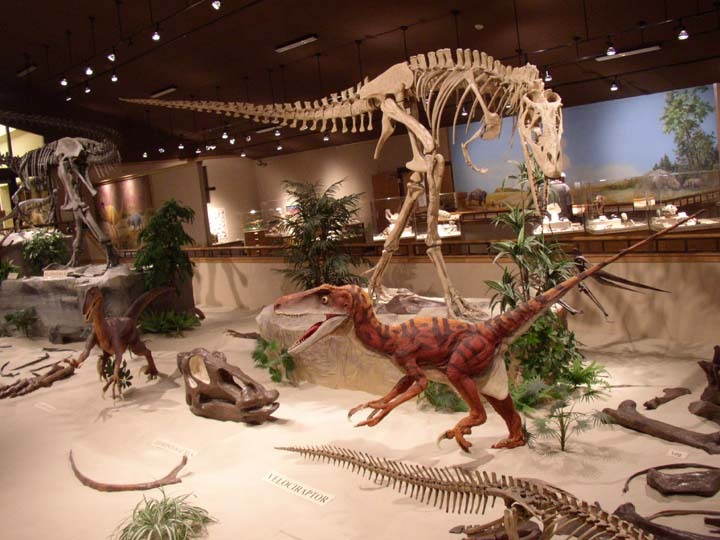 Here, a Veloiraptor replica is overshadowed by an Albertosaurus mounted skeleton. 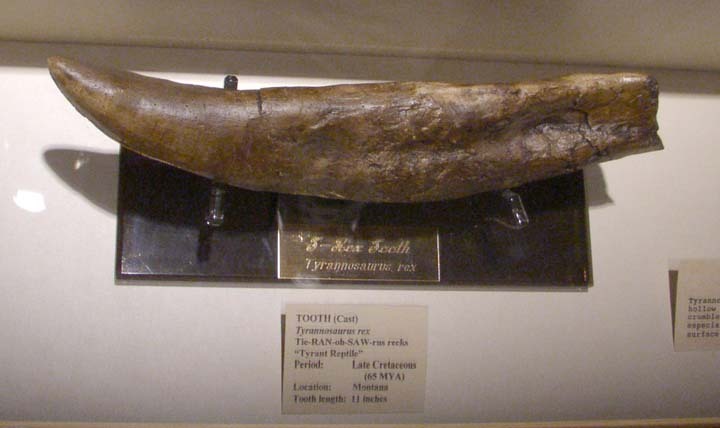 To the left is a Dromeosaurus. 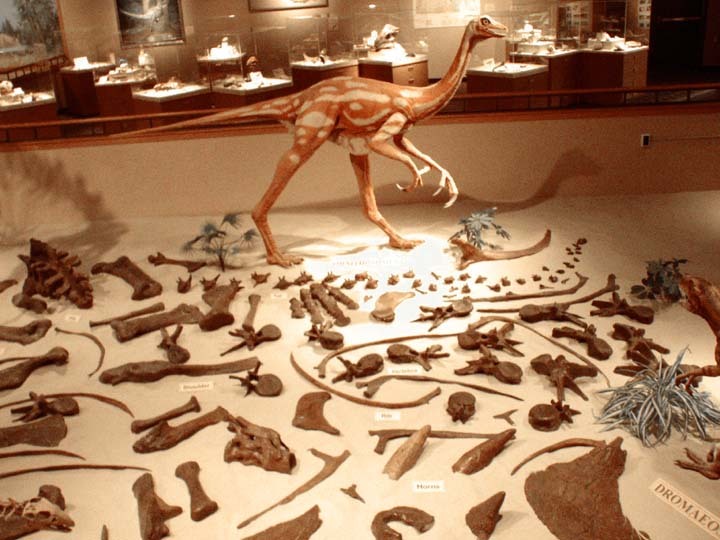 An Onitholestes stands behind unarticuated bones of various dinosaurs displayed on loose white rock. Behind are more mineral and fossil displays. 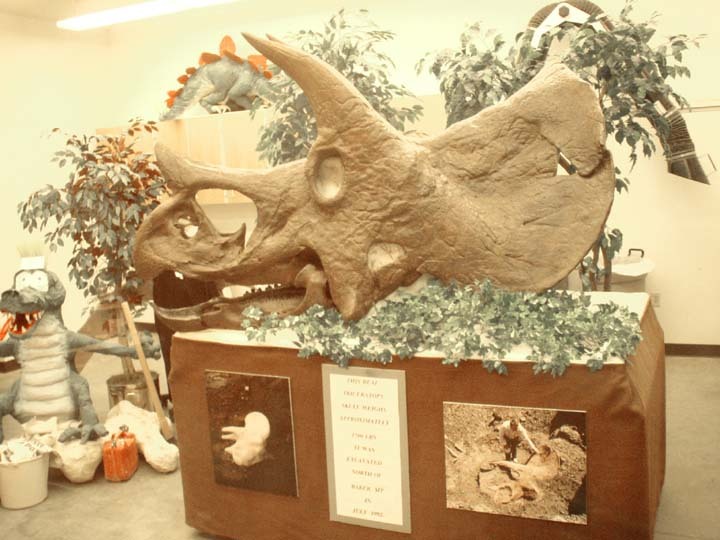 The Tricerotops skull was displayed in a mock-up of a bone preparatation lab. A nearby poster described the activities in removing and preparing the skull. Preparation alone took 744 work-hours. 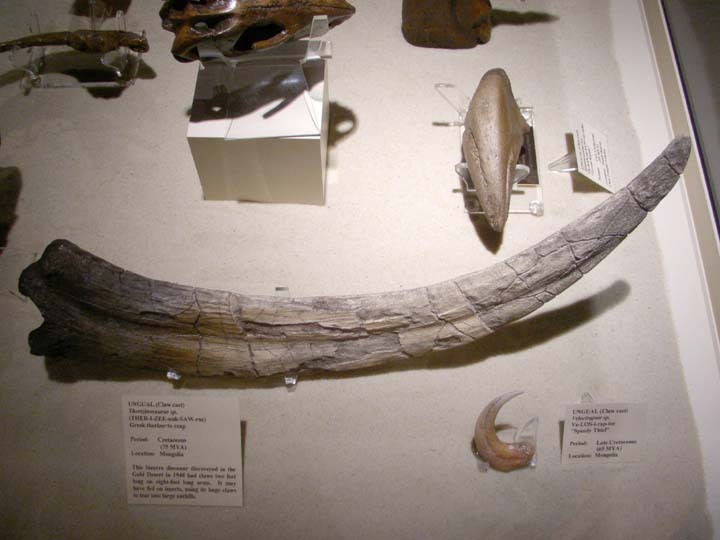 The Therizinosaurus had these enormous claws on both front legs.